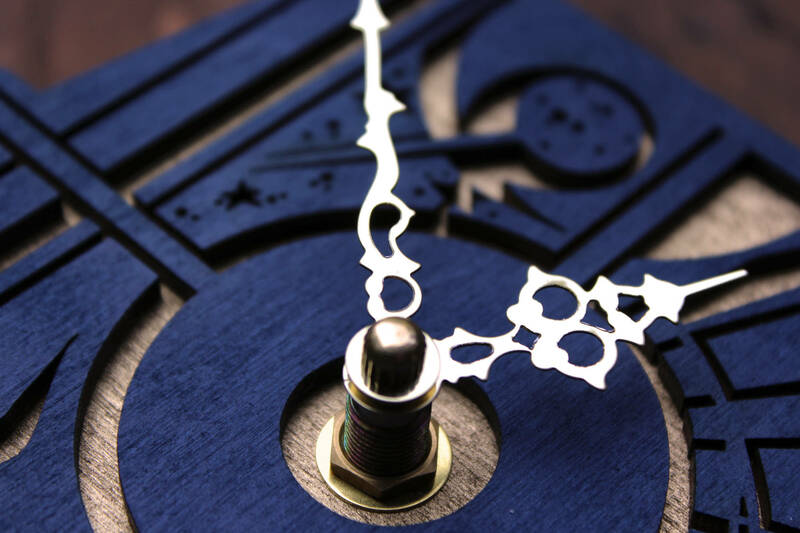 This Doctor Who clock is the perfect accent to your Gallifreyan collection. 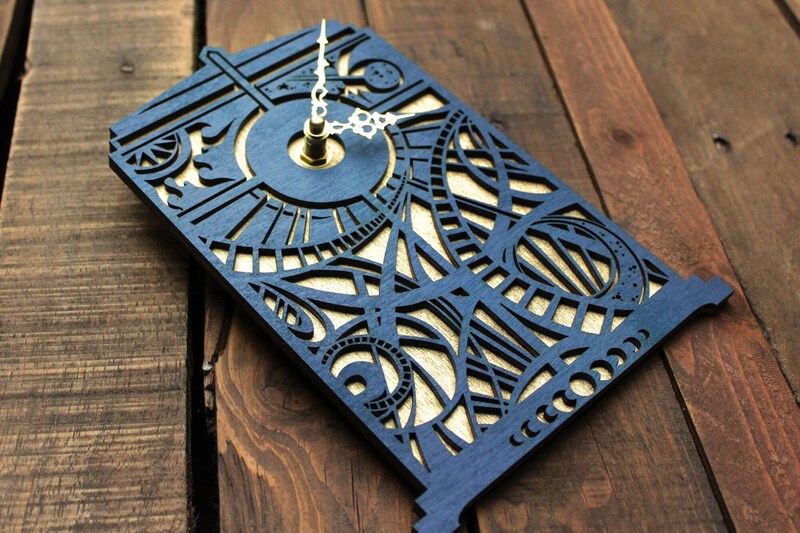 Our Timey Wimey TARDIS clock is TARDIS blue with a shimmering metallic gold backing. It is approximately 8" (20cm) tall and 5" (12.7cm) wide. The mini quartz clock movement is powered by one AA battery and has a silent sweep motion. Easily mounts on the wall with built in wall hanger. Your Doctor Who wall clock will arrive carefully packaged in bubble wrap. The clock hands are included unattached to prevent bending during shipping. They are easily attached by following the directions on the instruction card. 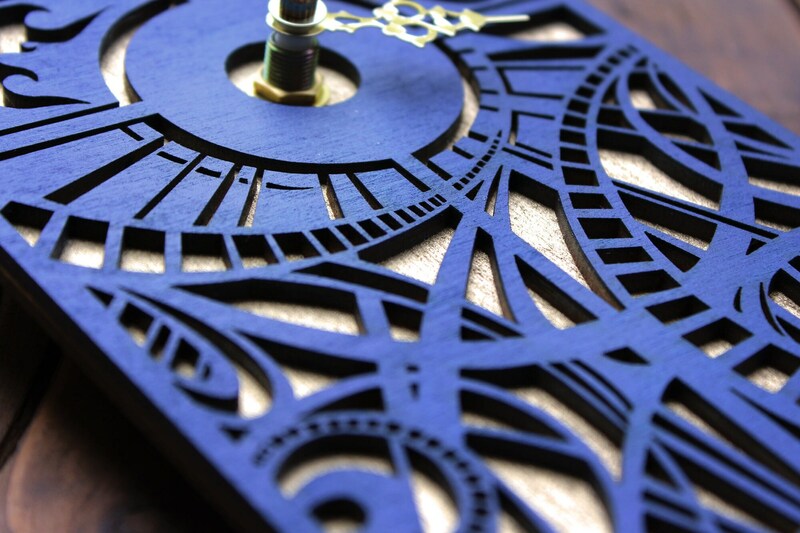 Instruction card and hands can be found on the back of your clock. Item was received exactly as described. 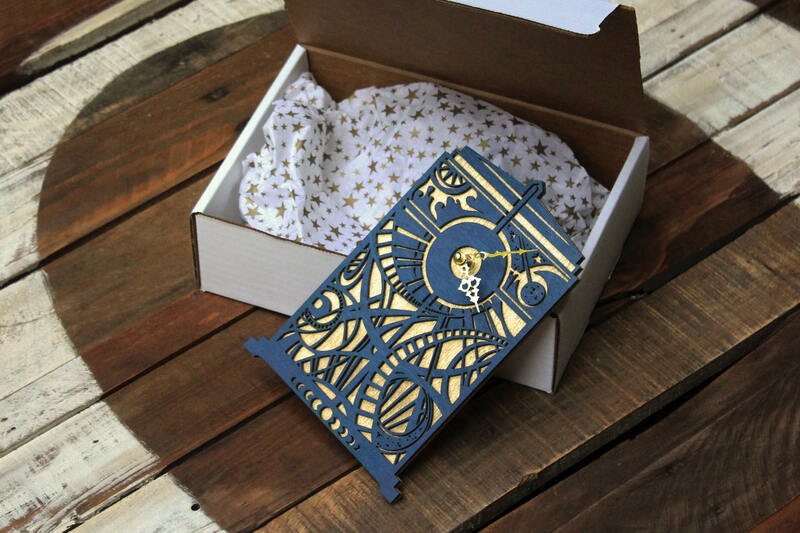 It is absolutely beautiful and such a special gift for anyone who loves the show! My mate was blown away! International deliveries might take a while so make sure to purchase in advance. Thank you to the seller who was very prompt and helpful. Absolutely beautiful! The craftsmanship is gorgeous! Very well made! My girlfriend loves it! Love this clock! Very well made.